Here at turn IT on we know that we are only as good as our people. So, we are always on the lookout for the next recruit who wants to make a difference in school computing support and join the turn IT on team. 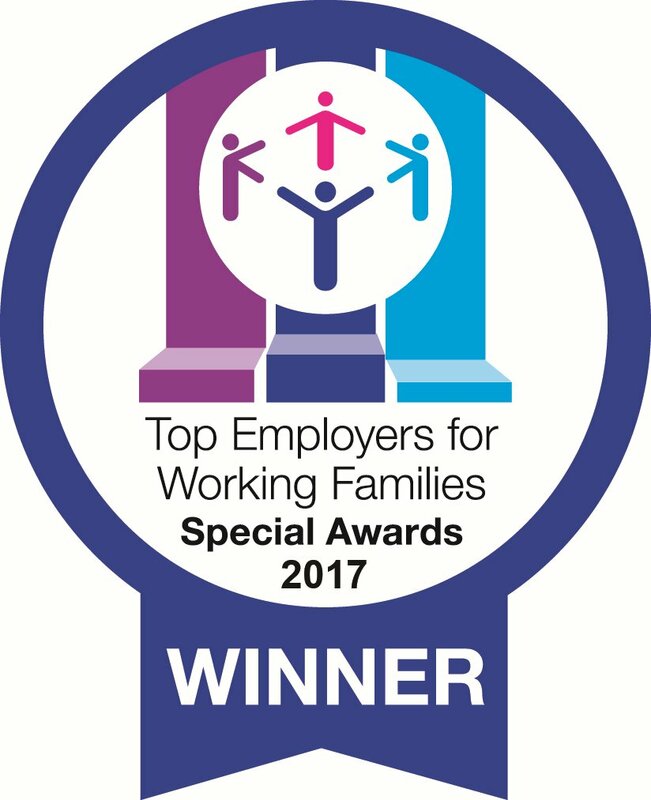 Turn IT on are proud to be a flexible recruiter, in July 2017 we won the Top Employers for Working Families Special Award for Embedded Flexibility. We won the award because, here at turn IT on we actively recruit staff to work flexibly and innovate ways to support those who work in non-traditional ways. A number of our managers work reduced hours and/or from home on a regular basis. Our managers are role models in their use of flexible working options and flexible working is actively promoted. All flexible workers are valued and recognised for their efforts across the company.